As a Texan, it’s heartbreaking to be on the bottom of so many lists like voter participation and the quality of education. What really keeps me up at night, though, is this: Texas has the highest maternal death rate in the developed world, and black women are suffering the most. Texas also has the fifth-highest rate of teen pregnancy and the highest repeat teen pregnancy rate in the country. Yet Andrew White, a candidate for the Democratic Party nomination for governor, wants to further endanger women’s lives by restricting our reproductive freedom. In this moment of resistance to Trump and the extreme conservative agenda, progressives have an opportunity to clearly articulate our values and priorities. That means doing everything we can to support progressive, inclusive candidates — especially those who fully support access to safe and legal abortion. It is nothing less than a line in the sand. Simply put: we won’t go back. We must back Democratic leadership that reflects the majority of Texans who support access to abortion. On March 6th, Texas Democrats have to choose the standard-bearer for our party, and it shouldn’t be White. When White was first exploring a bid for governor, I spoke with him to better understand his position on reproductive and abortion rights. (For those of you keeping score at home, what’s otherwise known as the law of the land.) I was deeply disappointed to hear him say not just that he was anti-choice, but that he would not keep his personal opposition to abortion rights personal by refusing to use the office of the governor to legislate women’s freedom and bodies. Instead, he told me he would actively dismantle policy protections that are in place by signing anti-choice legislation that came across his desk. In addition, he made a number of other offensive and false assertions about access to reproductive health care. To put it frankly (and accurately), his views are ignorant and unmoored from reality and where our party and our state stand on women’s health. Since he officially entered the race, White has tried to paint a different picture, obfuscating his true stance on the affirmative value of abortion access and pretending to be someone who will advocate for reproductive healthcare. That disturbs me. The inimitable Maya Angelou put it best: “When someone shows you who they are, believe them the first time.” White has not articulated why he has changed his view or acknowledged that he very recently held (and presumably still holds) anti-choice views that will undermine the freedom and potential of those who rely on abortion to plan their lives and their families. In fact, White claimed in the San Antonio Express-News (“ I disagree 100 percent with her characterization of that conversation. That’s as clear as I can answer that.”) that I am mischaracterizing his statements and our conversation. There is no place in the Democratic Party for a person who believes that I do not have the ability, right and judgement to make decisions about my body. This is both a matter of values and of strategy. No Democrat will win Texas without expanding and turning out the progressive base, which means turning out hundreds of thousands more young people, primarily young women of color, who share my beliefs. No, Mr. White, abortion is not a “little issue” (to use your words to me) that divides us. A woman’s right to control the number and spacing of her pregnancies is fundamental to women’s economic, legal and moral equality. 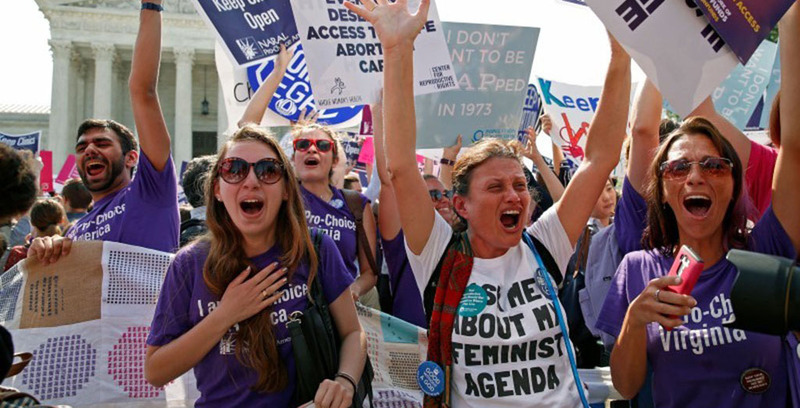 Abortion is healthcare — but it is also justice, freedom and equity. I have been a lifelong Democrat because I believe in our party’s commitment to equity and justice. I’ve never cast my ballot for an anti-choice candidate, and I’ve certainly never cast my ballot for a candidate as disingenuous as White. The stakes are too high. This is no time for spineless candidates who are out of touch with progressive values and who lack the will or ability to be honest and brave about their positions. I will not cast my ballot in the primary for Andrew White, and if he is the Democratic candidate against Gov. Greg Abbott in November, I will write in a third-party candidate. I encourage White to get some principles he’ll actually stand by and to get out of the primary. 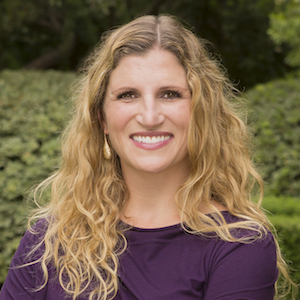 Aimee Cunningham has been a financial supporter of The Texas Tribune, a nonprofit, nonpartisan news organization that is funded in part by donations from members, foundations and corporate sponsors. Financial supporters play no role in the Tribune's journalism. Find a complete list of them here.